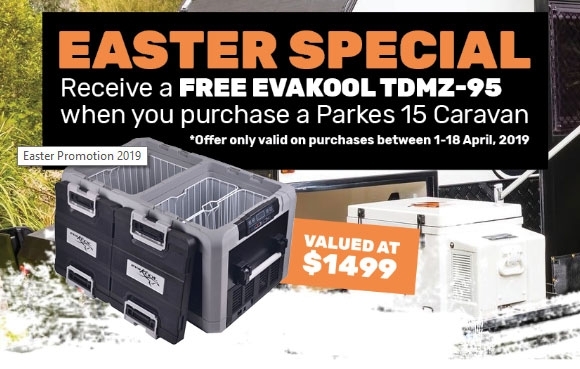 Offer Runs 1st - 18th April 2019 - On all new orders taken during the period only. 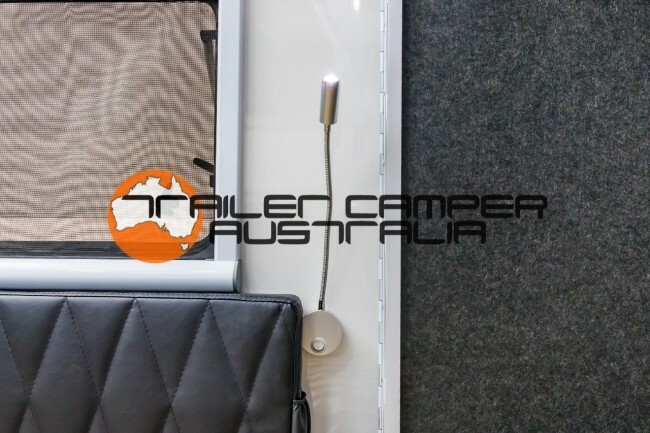 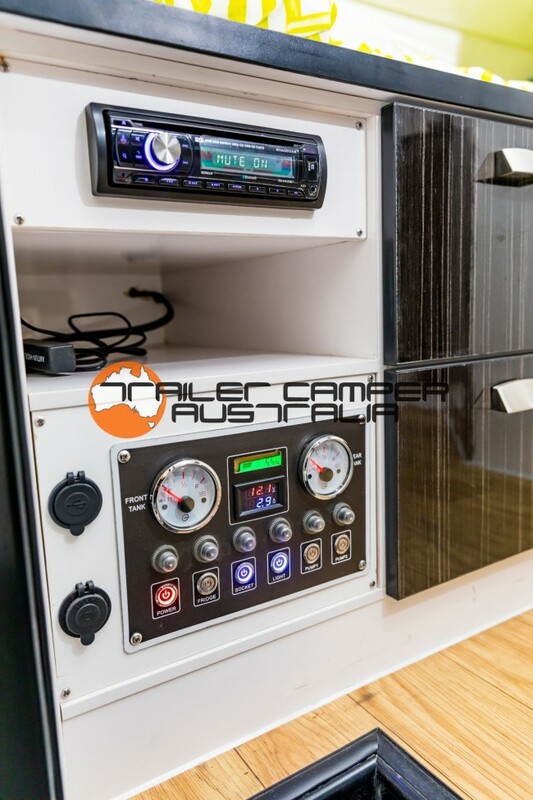 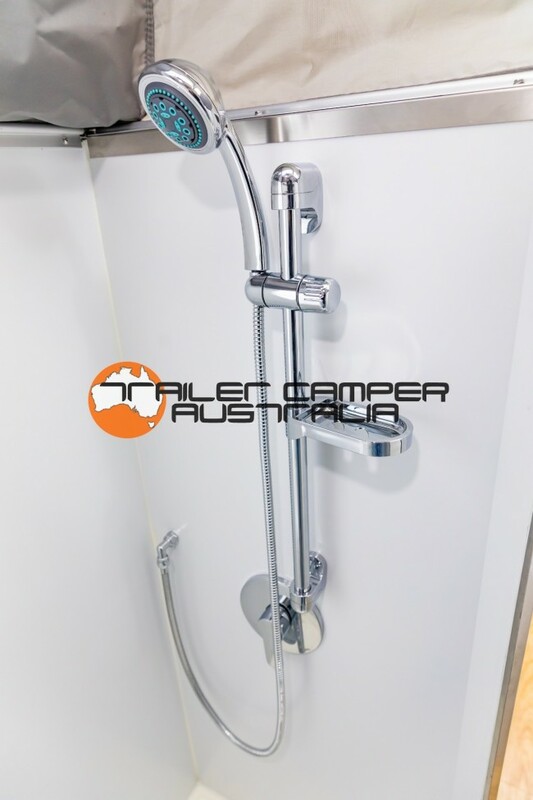 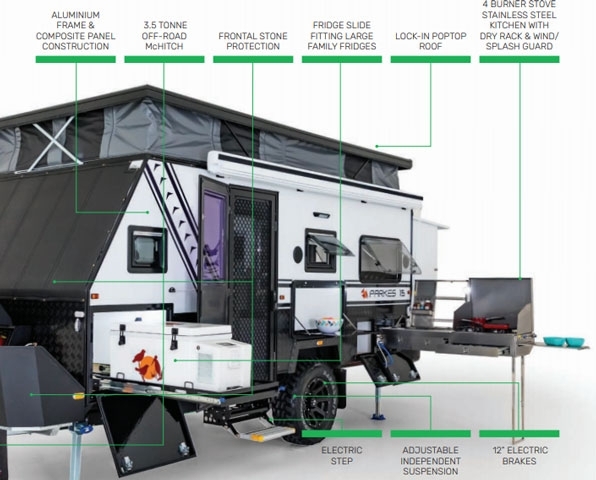 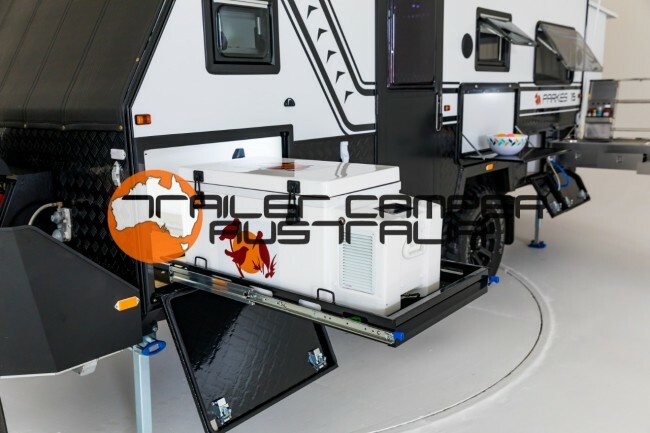 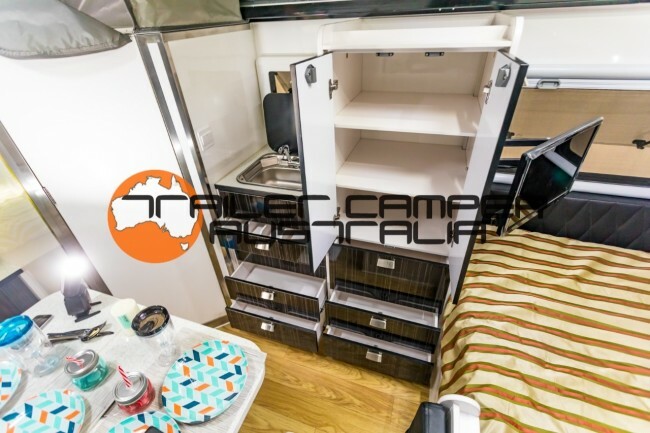 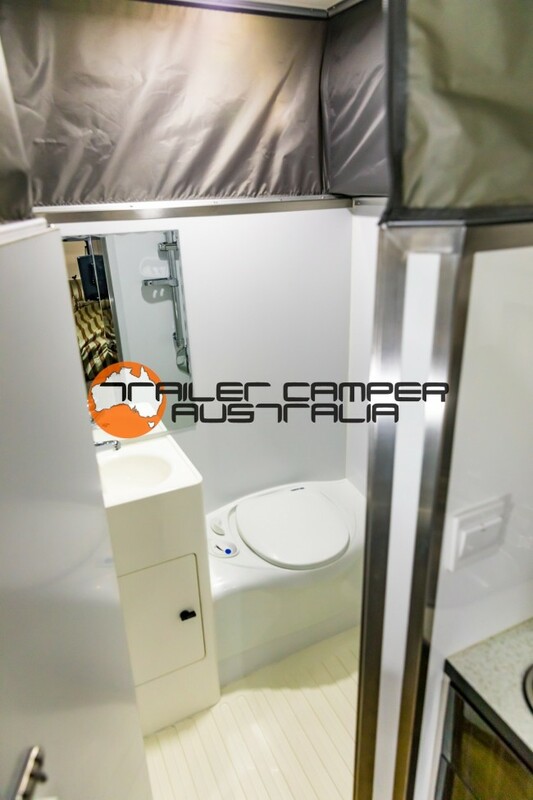 Ezytrail MYTCA Canberra is has the largest indoor display of Caravans & Campers in Sourthern NSW. 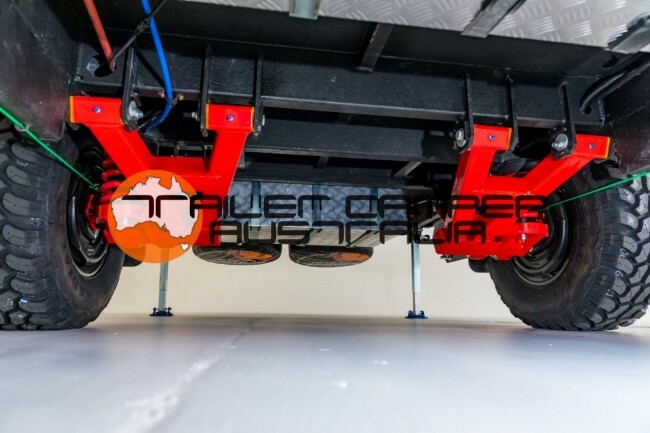 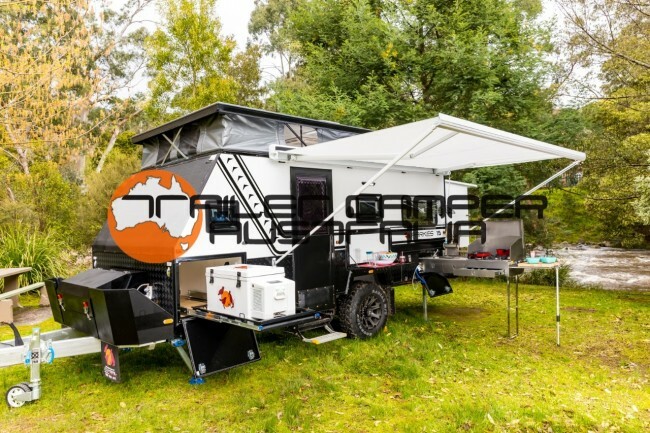 Servicing the ACT & NSW we are registered ACT & NSW Rego authorised dealers with over 25yrs experience in the Camper trailer & Caravan industry. 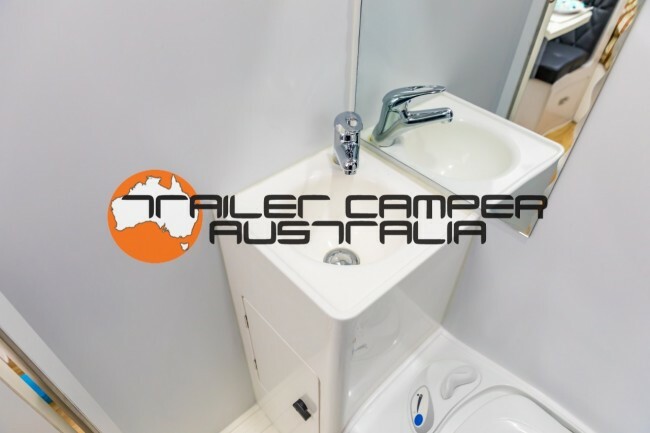 For more info give us a call on 1300 010 513 or drop in at 3 Whyalla St Fyshwick 6 Days a week. 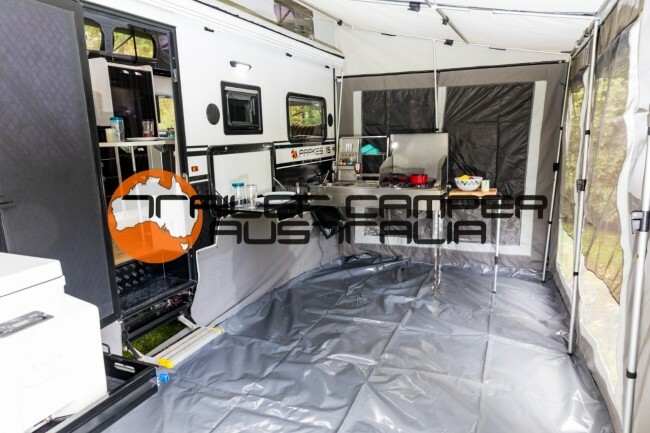 This 4-berth caravan is the long awaited family van that can take you anywhere off road. 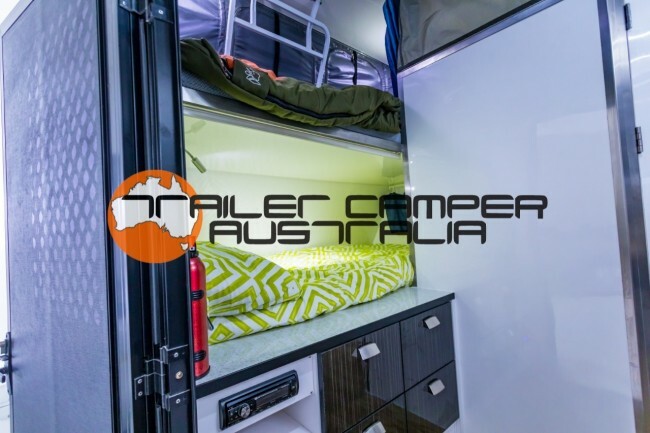 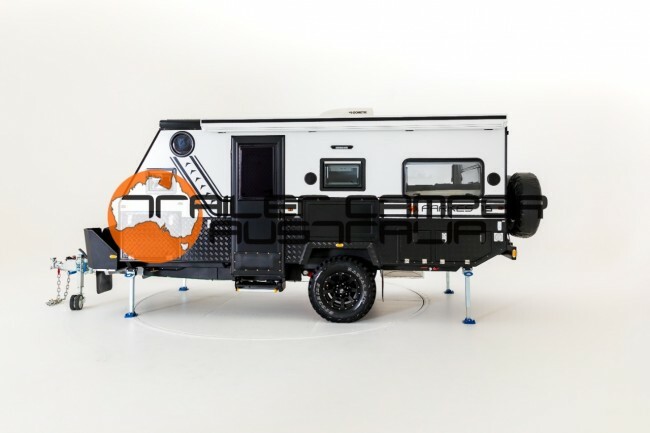 With two bunk beds (single and deluxe single sized beds) in between the ensuite and the front of the van, families with up to two kids will enjoy this camping inspired configuration. 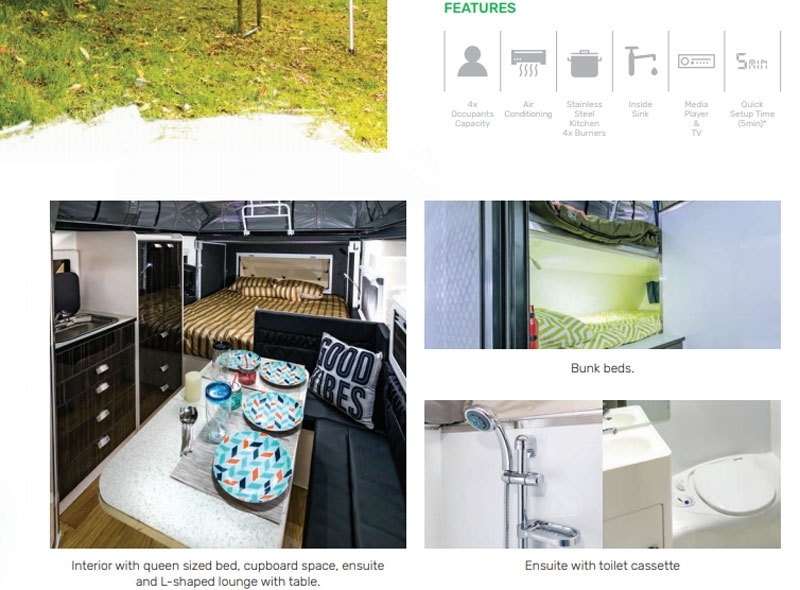 Featuring L-shaped lounge, generous cupboard and drawer space, built-in sink and modular wardrobe that can be optioned with an internal fridge to suit a wide range of families and holiday situations. 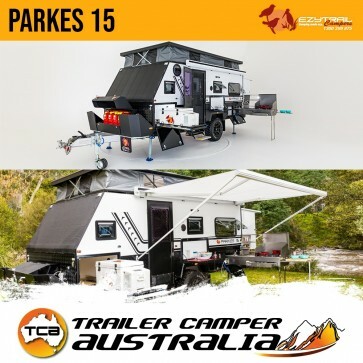 If exploring the beautiful outdoors is your ‘thing’ and you’re keen on jumping into action the moment you have popped that roof, then the Parkes 15 is your companion. 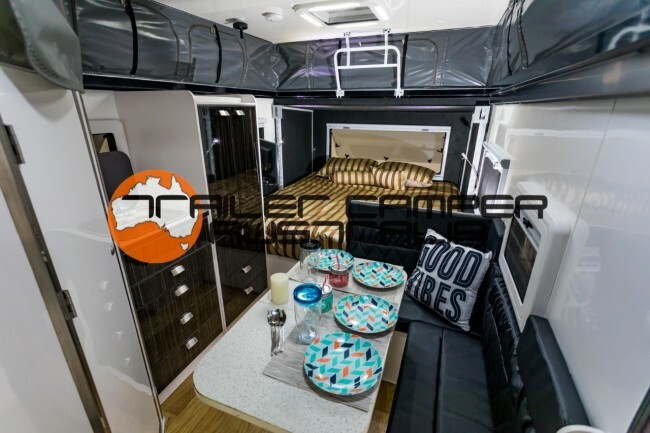 She will amaze you in simplicity and versatility, comfort and space. 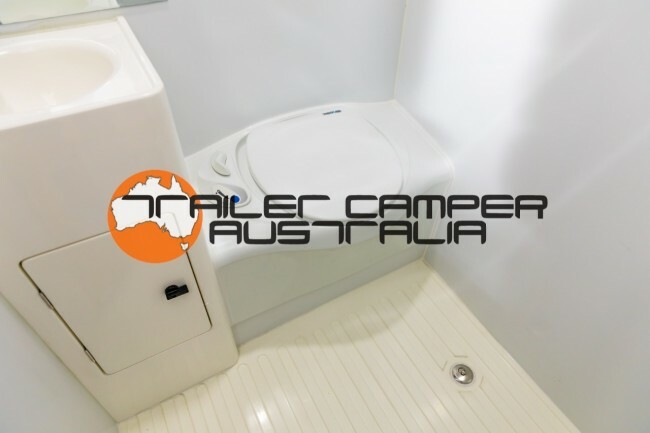 Once the poptop is erected, you will be embraced by the spacious interior. 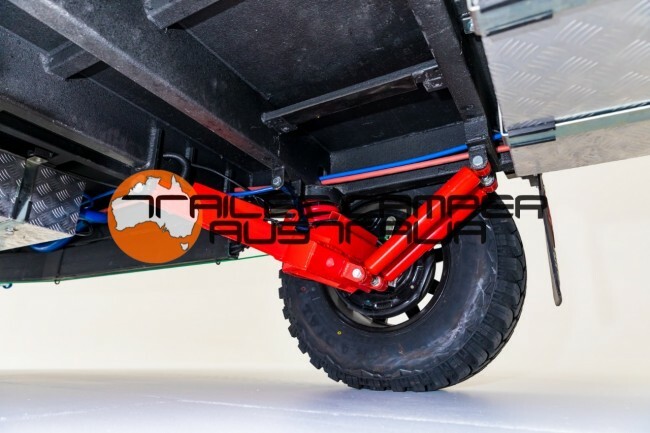 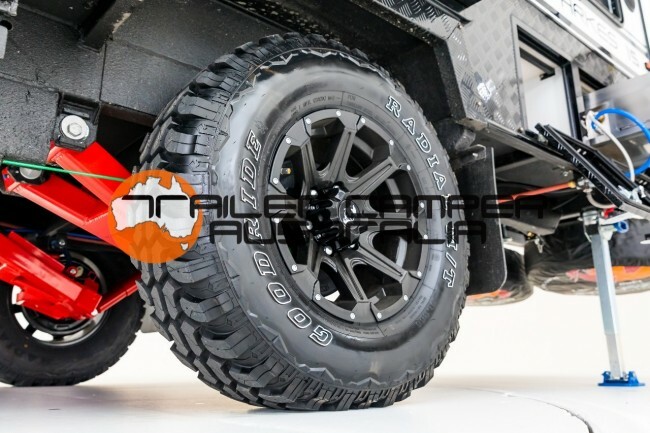 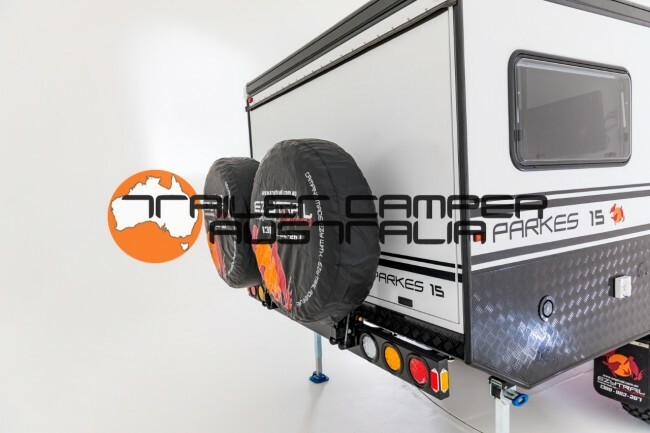 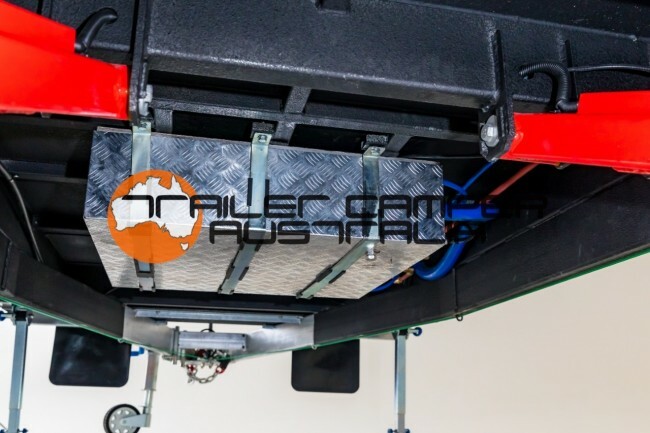 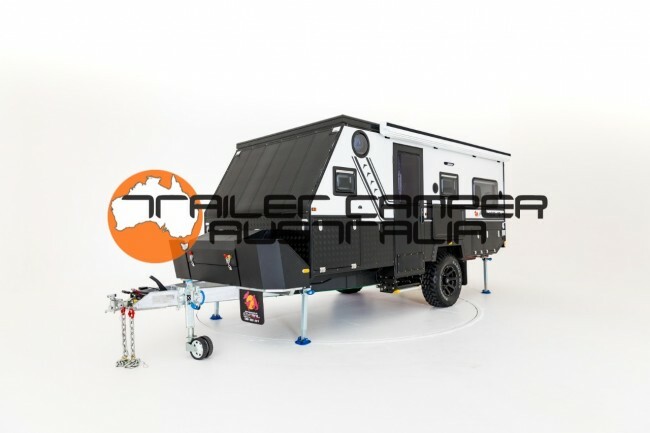 The Ezytrail Parkes 15 Offroad Caravan has plenty of internal height thanks to the self-lockable EzyLift Roof System. 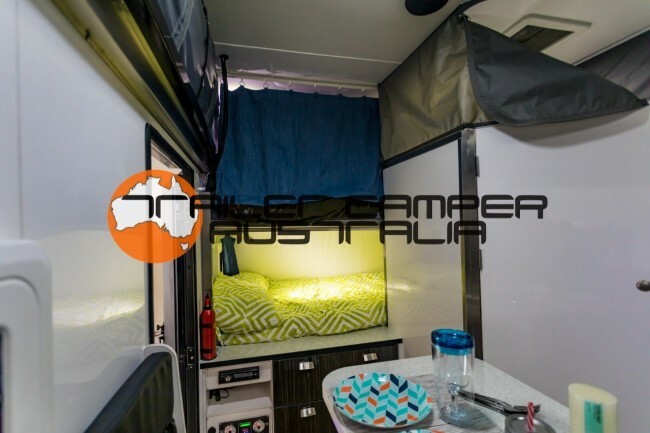 For an overnight stay, there is no canvas involved and with a simple winding out of the attached awning, you can cook, fully covered at the outdoor stainless steel kitchen. 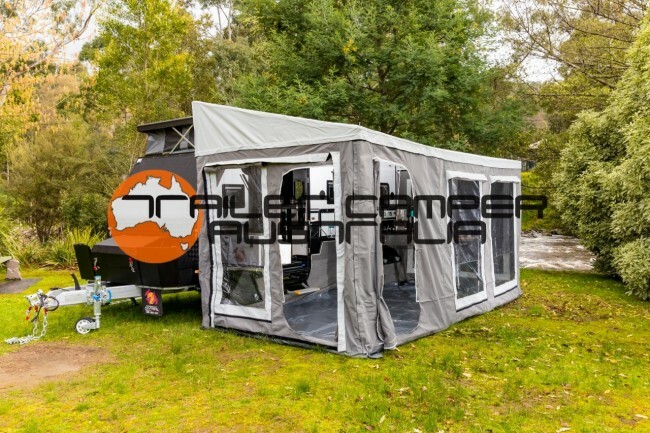 For longer stays, a fully enclosed annex is included, zipped and Velcro'd to the pop-top. 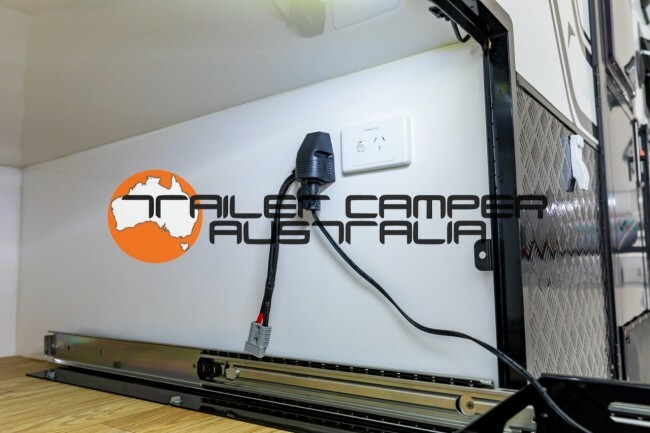 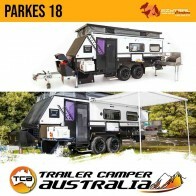 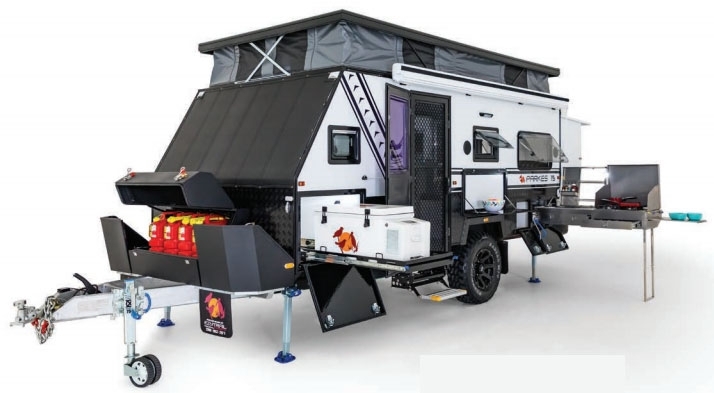 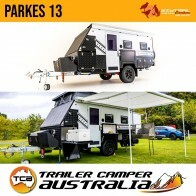 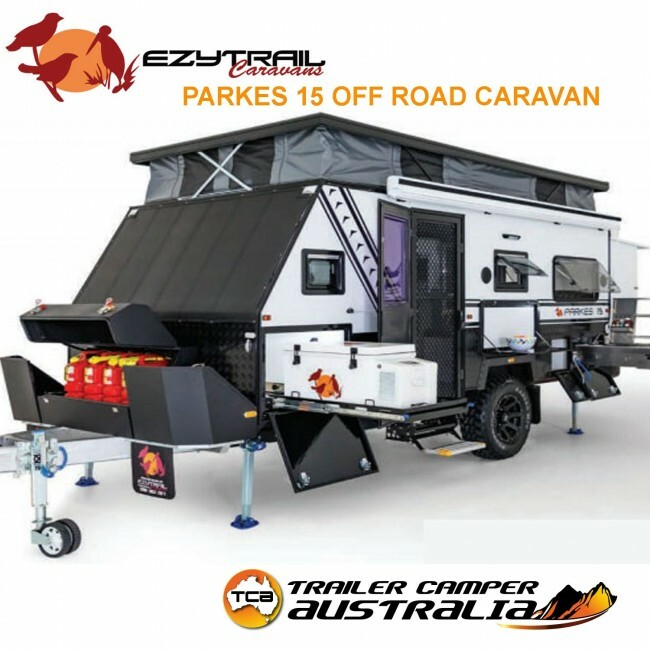 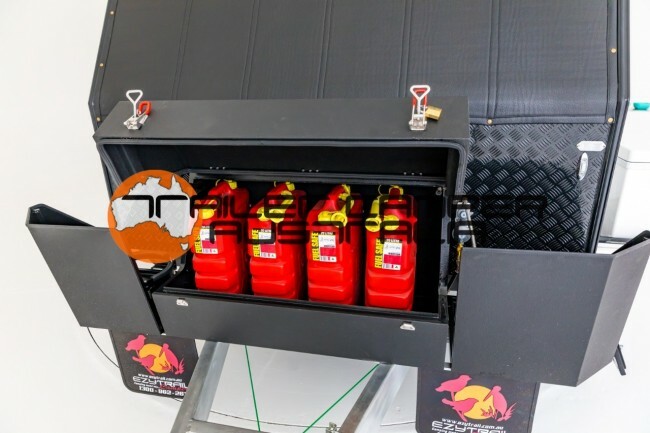 The Parkes 15 Caravan by Ezytrail has your power requirements sorted with 3x 100Ah deep cycle GEL batteries & an Anderson plug for portable solar panels, this ensures you can off-grid camp hassle free! 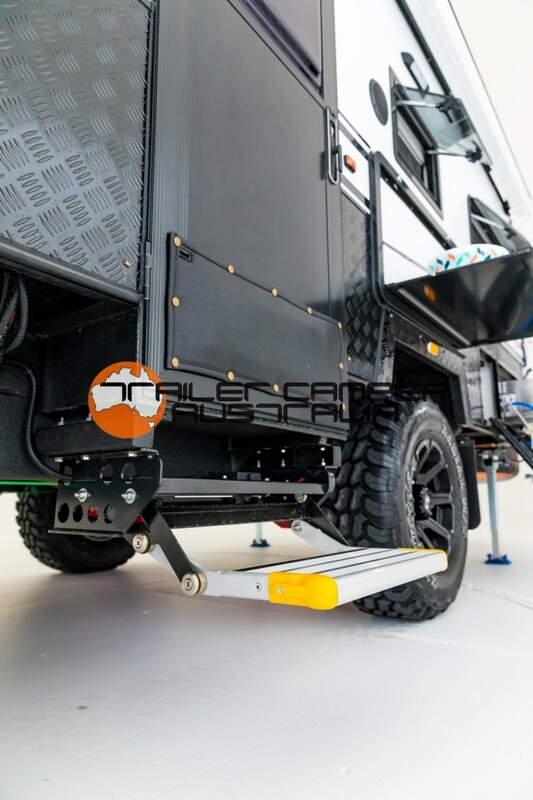 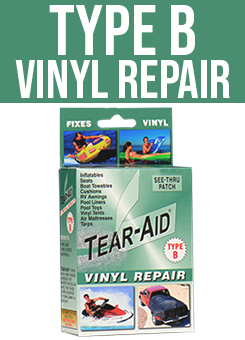 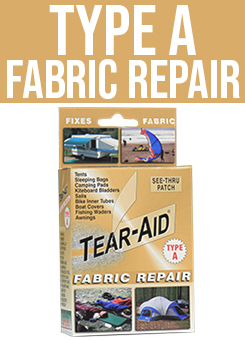 No need for upgrading your caravan to go off road. 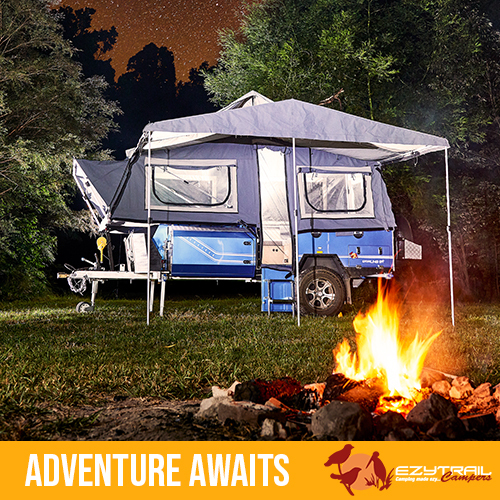 Ezytrail has you covered for a trip beyond limits.